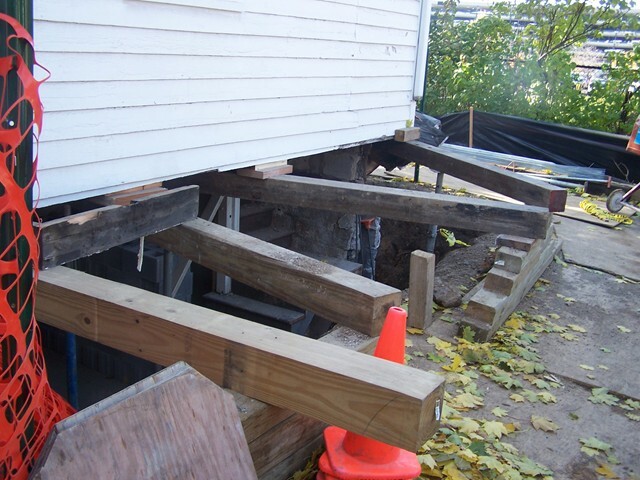 The Kempf House museum Contacted us for two different projects in 2007. 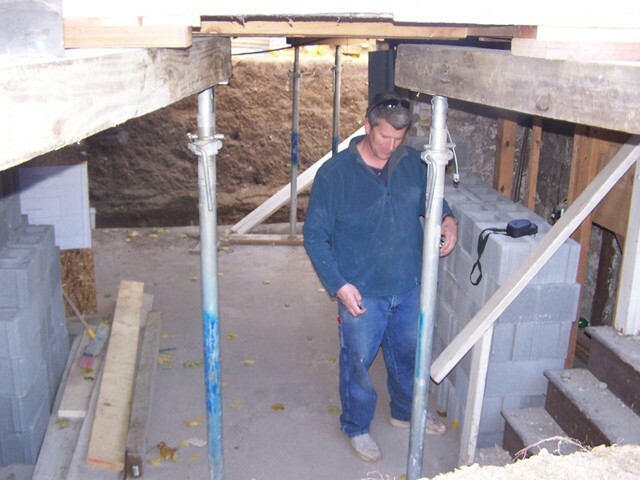 The second was to replace the crumbling foundation at the rear of the house. This was a difficult project due to accessibility to the work area...The Kempf house has no driveway, no easy vehicle access and is surrounded with sensitive historic plantings. We decided the best way to do the work and protect the site was to do everything by hand. The only thing we were missing was wooden wheelbarrows and straw hats! 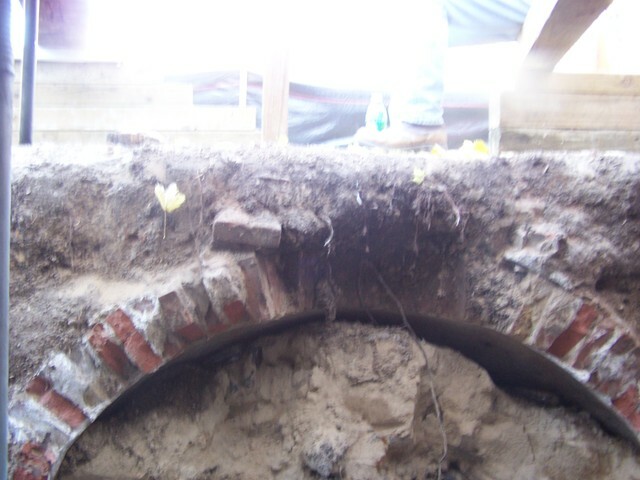 The old cistern was incorporated into the original wall and was full of turn of the century bottles. Hey! is that guy working? The amazing levitating electrical panel. Of course, utilities had to be maintained during the work. A parge coating was applied to the block to give it a more uniform appearance.